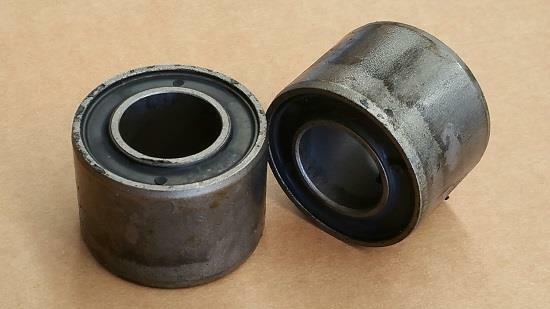 Pair of replacement bushings for Toyota coilovers, suits all pin type bushes on HSD Toyota coilovers both Monopro and Dualtech. Outside diameter is 42.6mm and inside diameter is 22mm to suit the press-in steel bushings. Barrel length 29.8mm. Please check the size of your existing bushes as some very early models differ.